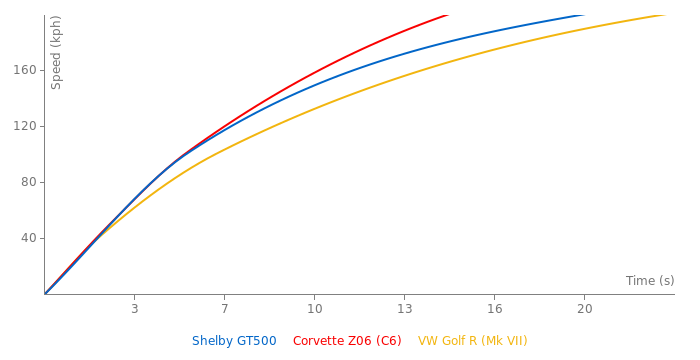 @FastestLaps: Please change the 0-100 mph on both Shelby GT500s. That is not a full lap. @Super8 yeah, I would try the Super Snake version if I knew someone who would let me drive theirs. 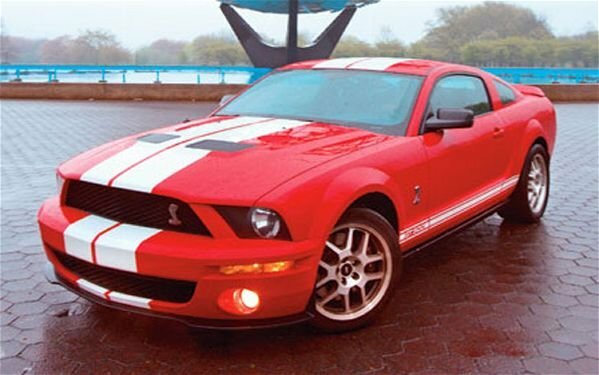 I would especially like to try out the 2013 model year Ford Mustang Shelby GT500. I am still impressed with the idea of a 200 mph Mustang. The least expensive 200 mph car, as far as I know. @Mike B yeah it is a Ford Shelby GT 500. A mod should change the name. Shelby signed off on it, but the car is manufactured by Ford and its official name starts with Ford. My impressions are as follows: it really is an impressive car. The weather was moderate, and I didn't put it on a track, so no heat soak issues. It is ridiculously fast, when the rpm comes up and the boost rises it has tremendous yet easy to control power. The steering is not as direct as my 2011 5.0, but the suspension feels well damped and controllable. Since he has the new style clutch, it felt very much the same (excellent), but the shifter is quite different. His Tremec six speed has a different pattern than my Getrag, and the shifter sits a bit more forward on the console. It is okay, but I prefer my transmission (more familiar and a bit smoother, I guess). I like my dash design better, but his exterior has more presence. He has taller gearing (3.31 rear), but his torque advantage makes up for it. Despite his lower redline, he doesn't need to be as fast at shifting since he can go faster in each gear before needing to shift. Well I finally have had a chance to drive my nephew's 2009 Ford Shelby GT 500 Mustang as my dad and I visited him in Texas. His example is red with silver stripes, mechanically stock and still under warranty. He got Carroll Shelby to sign his dash and he has upsized the wheel/tire combination, and has had the clutch replaced under warranty with the newest style clutch (apparently the 2006-2009 models were equipt with a racing clutch unsuited to stop and go driving), but is otherwise just like when he bought it new two years ago. My nephew in Texas owns one of these (a 2007 or 2008 I think). He likes to show off its horsepower and according to his mother (my sister) it is quite impressive in acceleration. Build quality of modern Fords is excellent. This particular model has too much weight on the front tires to be optimal for road courses. Road testers also complain of too much heat-soak in the engine compartment forcing the computer to back off the boost and timing. Probably a fast car for early morning qualifying, but much slower during any multi-lap race. I might get a chance to try it out if I visit Texas. is the laguna seca laptime correct i mean it beat the camaro ss 2010 and it has solid axle. wtf? Not many mustang fans on here...thats ok I guess. I just came to look at lap times read the same old crap about this car....too heavy blha blha blha.... stcik axel etc. What I found was pretty interesting. Laguna Seca its not far off e92 m3? ?Its actually damn fast...at VIR its a tenth a second off e92 m3 thats a long track. Even got the 997???? Pretty impressive for a car that can be had now for 34K!!! If it wore m3 rubber it would have faster then m3 times on those road courses. cant be all bad? Well a good reason is because its quite heavy and it has skinny rear tyres so there easy to spinn and mess up the launch, and adding more power doesnt help that fact, but give it to a proper driver and all that dissapears. I find it amazing how the supersnake has gobs of power compared to this and the times are fairly close?? Hawker probably has a small c*ck. 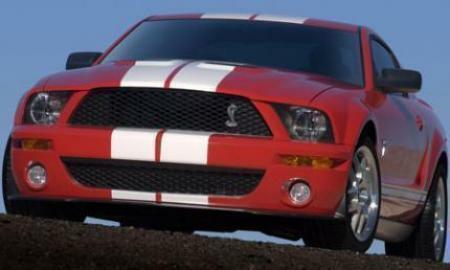 Motor Trend got 0-100 mph in 9.7 seconds for a 2008 Ford Shelby GT500. I don't know if there were signifigant changes between 2006 and 2008 models. 10.9 to 100? really dude? c'mon. I agree with you on that the mustang's build qaulity is a joke all ford doess when it come's to makeing the mustang's is give them a ridiculous amount of power and torque and they dont care how well engineered their car is judging by the fact that the transmition,gearing,drivetrain suspension,tire's and all that other important stuff that goess in to building a good car is crap because ford care for all of this when it come's to their prehistoric mustang i'm telling you this if the mustang had a decent transmition and suspension it would be more than just a good care but it seem's that all ford care's about is the power and the torque. I told you guys before they had an engineer from ford talking to graham fletcher from motoring tv and graham asked why it does not have a proper suspension and the engineer repied that most people that buy mustangs change the gearing on the rear end and graham just shook his head, ya what a poor excuse, quality is definitly not number one. thats a bit hard to because for that to happen it needs to have less drag than a viper.. but i believe pretty much any video i see.